Accredited online masters in psychology degree programs are the most popular online psychology degrees and are offered in many colleges. Anyone with an education background in psychology or mental health can pursue this degree for more foundational knowledge in the subject, which later leads to employment or careers opportunities in the many areas of psychology practice. There are many areas that students and their instructors cover over the course of the program. These include human sexuality, behavior analysis, religion, organizational psychology, and addictions. Graduates of the program may go on to become social services supervisors, researchers, educators at postsecondary institutions or work in the human resource at organizations or companies. Angelo State University gives an online learning opportunity to individuals interested in studying for their master’s in Psychology. The instructors who teach the core courses are holders of doctoral degrees and therefore are knowledgeable and well-experienced in the field. The degree offers two tracks: Thesis and Non-Thesis. Some of the courses taught include Core Concepts on Psychological Science, Forensic Psychology, Social Perception, Research Methods, Cognitive and Behavioral Neuroscience, Theories of Personality, Developmental Psychology, Psychology of Chemical Dependency and Cognitive and Behavioral Neuroscience. The courses explore in depth the different ways in which societal issues such as decision-making, health, education, prosperity, and safety can be addressed through psychology. Admission is available to students who scored a 3.0GPA in their undergraduate work. Those who scored below 3.0 are required to submit their GRE scores and college or university transcripts. The University is accredited by the Commission on Colleges of the Southern Association of Colleges and Schools (COCSACS). LeTourneauUniversity presents prospective students with the opportunity to study online for their Master of Arts in Psychology. The degree program is designed to equip students with counseling skills. The curriculum comprises of core courses as well as electives which may be in psychology or other disciplines. It also offers students a practicum experience through real-life counseling sessions. The coursework topics include Introduction to Counseling, Integrative Theology for Counselors, Healthy Family Functioning, Group Counseling Methods, Counseling Skills and Techniques, Advanced Abnormal Psychology, Addictions Counseling and Research Methods. Applicants for the MA in Psychology degree program are required to submit completed applications with transcripts of undergraduate and graduate work (if any) completed. They must have attained a 2.5 cumulative GPA. Those that do not meet the GPA requirements are expected to submit a resume that shows their work experience. In order to graduate, students should attain at least a 3.0 GPA. TheUniversity is accredited by the Southern Association of Colleges and Schools Commission on Colleges (SACSCOC). Mercy College is one of the institutions offering online Masters in Psychology. The program entails coursework, clinical internships, and research sessions. The purpose of the program is to advance students’ knowledge of psychology as well as give specific experience in areas that are of interest to the student. The coursework covers Contemporary Theories in Psychology, Psychopathology, Group Experience and Statistics & Research. Students learn theory, methodologies, ethics and clinical practice in advanced psychology. They acquire skills that will help them conduct group sessions; Sportassess important issues in clinical practice and research ethics; identify brain and behavior relationships and demonstrate their understanding of research methodologies in any given research project. Applicants of the program are required to have graduated with a major in Psychology, Education, Behavioral Science or Sociology. They must submit a letter of recommendation, resume and an essay that states their reasons for pursuing the degree. Mercy College is accredited by the Middle States Commission on Higher Education (MSCHE). California Southern University is an excellent choice for anyone seeking an online opportunity to study for their Master’s in Psychology. The Master of Science in Psychology offers five concentrations namely: General Psychology, Chemical Dependency, Pastoral Counseling, Sports Psychology and Industrial Psychology. The courses offered under this degree include Psychopathology, Applied Concepts, Social Psychology, Counseling Theories and Strategies, Family Systems theories, Human Sexuality, Alcoholism or Chemical Dependency, Cognitive-Behavioral Psychotherapy and AppSportsPsychology. Students are taught communication and critical thinking skills, ethical, professional and legal issues in practice and to comprehend the cultural and social influence that institutions have on independentvalues and worldview assumptions. Anyone seeking enrollment into the program is required to complete their application and submit official transcripts of their undergraduate work alongside a $75 application fee. They must also submit a personal statement that supports their desire to enroll for the master’s program. The University is accredited by the Western Association of Schools and Colleges (WASC) Senior College and University Commission. 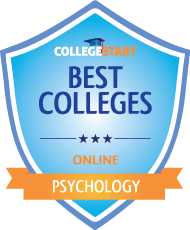 Union College is one of the leading institutions to offer online Masters in Psychology. The Master of Arts in Psychology program is designed to equip students with education that makes them qualify for career enhancement or academic advancement into doctorate studies. The coursework is rigorous and flexible enough to help you succeed in your academics and meet your life goals. The curriculum entails foundational courses, electives and thesis courses. Some of these courses include Theories of Personality;Advanced Developmental Psychology;Emotion, Motivation and Cognition; Advanced Behavioral Neuroscience; Integrative Project, Group Dynamics and Health Psychology. Online students enjoy interactive sessions with their classmates and lecturers. They receiveall day technical support as well as support from experienced academic advisors. They also get to enjoy convenient class schedulesso that their daily routines are not interrupted. Union College is accredited by the Southern Association of Colleges and Schools Commission on Colleges (SACSCOC). University of Memphis is a leader in higher education and offers Master of Science in Educational Psychology degrees online. The curriculum focuses on human development, research & statistics and learning & cognition. The degree program is open to teachers, school administrators, military personnel, school psychologists, social workers, ministers, social workers and any other professional seeking understanding of educational and psychological research. Students seeking admission into the graduate program must submit their GRE scores, official transcripts of all their undergraduate or graduate work, letters of recommendations, resume that reflects their occupational experience and a statement of purpose indicating their short and long-term goals and reasons for joining the master’s program. The curriculum offered follows guidelines published by the American Psychological Association (APA). The MS degree in Educational Psychology entails 36 credit hours. The University is accredited by the Southern Association of Colleges and Schools Commission on Colleges (SACSCOC). Palo Alto University is one of the leading institutions to offer online study opportunities for Master’s in Psychology. The MS in Psychology program is designed to give you strong foundation for enrollment into Ph.D. education or for career advancement in education, psychological research, curriculum development and content design fields. The curriculum teaches human behavior and research in social science. The program takes 2 years to complete. Students are required to take part in a one-week clinical interviewing course. Some of the courses taught include Child and Adolescent Development, Cognitive Bases of Behavior, Neuropsychology, Psychopharmacology, Research Methods and Statistics, Social and Personality Psychology and Ethics in Clinical Psychology. Students seeking enrollment must have attained a 3.3 GPA in their undergraduate work. They should request for official transcripts from institutions attended. An application fee of $40 is required as well as letters of recommendation and a resume. PAU is accredited by the Western Association of Schools and Colleges (WASC) Senior College and University Commission (WSCUC). The University of Georgia offers prospective students the opportunity to study online for their Master’s in Educational Psychology. It has the Master of Education in Educational Psychology, Applied Cognition and Development degree program which looks at the effect that human cognitive, developmental and motivational processes have on Psychology practice and education. Courses taught include Foundations of Human Development for Education, Seminar in Educational Psychology, Foundations of Motivation for Education and Application of Statistical Methods in Education. Students are prepared with education that will help them successfully find careers in institutional research, teaching, military education and research in schools and industries. Applicants of the program must produce recent GRE scores;be holders of baccalaureate degrees from accredited institutions;have attained a 2.6 GPA or above in their undergraduate work;submit 3 letters of recommendation and provide a statement of purpose. The university is accredited by the Commission on Colleges of the Southern Association of Colleges and Schools (SACS). The NationalUniversity offers the Master of Arts in Performance Psychology Online. The program combines peak performance, performance psychology techniques, counseling and sport science. Students enrolled into the program are exposed to research, theory andpractical experience in business, fine arts, combat psychology, sport psychology and exercise physiology. Students are taught core courses such as Psychopathology, Organizational Behavior, Counseling in Performance Psychology and Stages of Adult Development. By the end of the program, students will have learned to apply ethical principles in a culturally acceptable and professional manner and also examine ways in which performance is affected by psychological aspects. Prospective students are required to submit official transcripts from all colleges or universities attended, GRE test scores, statements that show their educational objectives and resumes that support their professional experience. In order to graduate, students are expected to complete 63 quarter units. The university is accredited by Accrediting Commission for Senior Colleges and Universities of the Western Association of Schools and Colleges (WASC). The Southern Western Assemblies of God University offers online Master’s degree in Clinical Psychology. The university is accredited by the Southern Association of Colleges and Schools Commission on Colleges (SACSCOC). The program entails research component where students learn research design and psychology methods; practicum component and the professional component. In the professional component, students are taught ethical and legal issues in practice, human growth and life span development, theories of counseling and psychotherapy, tests and assessment and objective personality assessment among other courses. The clinical psychology degree program concentrates on research-based practice, behavioral and mental healthcare for individuals and families and community or agency consultations. Online students enjoy full access to resources, facilities and technical support. Anyone seeking admission into the program has to submit a completed application, have a professional reference and request for official transcripts from every institution attended, to be submitted directly to the university. This school is a public university that was established in 1957. It currently has an enrollment of 33,116 undergraduate students. It has more than fifty undergraduate programs on offer as well as close to fifty master’s programs. Psychology is one of its most popular majors. The course has divisions. The lower division has three concentrations which are Elementary statistics, introductory psychology and Research methods. The upper division offers abnormal psychology, advanced statistics, biological psychology, field placement in psychology and psychological testing. The tuition fees for in-state students are $6,316 and that for out-of-state students is $17,476. Financial aid is available to the students. The school was founded in 1855 and it has been dealing with online programs since 1998 through its Penn State World Campus. The institution offers both Bachelor of Arts in Psychology as well as Bachelor of Science in Psychology. The major in Bachelor of Arts in Psychology requires students to take 50 credits. These include three internship credits that are optional, 34 course credits which are additional and 13 course credits that are prescribed. Prescribed courses include Basic Research methods and introductory psychology as well as a senior seminar in psychology. The tuition fees for the online programs start at $18,270. This is a public research university that is located close to Phoenix. It is highly ranked in Online Psychology programs. It offers an online course in a Bachelor of Arts in psychology. The program is fully online. The program requires 120 hours that include a mandatory 46 hours of upper-level classes. The program deals with many fields including developmental psychology, clinical systems, organizational psychology, cognitive systems, and social psychology. It also has fields in health psychology as well as law psychology. The program is offered at a fee of $480 per credit hour. Financial aid is available to students. This institution has a division known as Oregon State University E-campus that offers programs online. The school of psychological science offers its online programs in psychology through this division. It offers both Bachelor of Arts in Psychology as well as a Bachelor of Science in Psychology. The school has received its regional accreditation from the Northwest Commission on Colleges and Universities. Students are required to complete 180 credits so as to graduate. These include a minimum of 60 upper division credits. The program deals with fields such as cognition, social psychology, consciousness, health psychology, brain and behavior, personality and human lifespan development. The university allows students to choose a minor. The cost per credit in this program starts at $271. This institution was established in 1890. The university has been accredited by the Northwest Commission on Colleges and Universities. It has a department in psychology that had been accredited by the American Psychology Association. It has its concentrations in Geriatric psychology, experimental psychology, clinical psychology, neuroscience, counseling psychology, general psychology and human development. Its core requirements are eleven semester credits. These include experimental methods in psychology, introductory psychology and elementary statistics in psychology. It offers both a Bachelor of Arts in Psychology as well as a Bachelor of Science in Psychology. Students are required to have completed at least 120 credits in order to graduate. 42 of these should be upper division credits and 30 of these should have been completed in residency. The fields include addiction counseling, mind and behavior concentration, brain concentration, industrial organizational concentration, general psychology, history and systems of psychology and psychology of the individual in context. 17. Chicago School of Professional Psychology. It is highly respected and has received accreditation from the Western Association of Colleges and Schools. Currently, the charges are $982.00 per hour. Applicants should have a Bachelor’s degree in psychology. The applicant should have at least five years of experience in the field having completed the degree. A term lasts seven weeks and there are one-week breaks between terms. This is a private school that was founded in 1998 and was originally named Colorado School of Professional Psychology. It has received accreditation from the North Central Association of Schools and Colleges. Students pay $726.00 per credit hour. It is an online university accredited by The Higher Learning Commission. It is a private university that has received accreditation from the Western Association of Schools and Colleges. The courses have at least one exam done under supervision and arrangements are made for this. The school has been running for over eighty years and is an accredited university. The charges are $320.00 per credit hour. The course takes a length of eleven weeks. Applicants without a degree in psychology will be considered and they will undertake an online preparatory course. 23. University of Minnesota Duluth. The University of Minnesota Duluth offers an online psychology major that is designed for students with an associate-level degree, or students of the Minnesota Transfer curriculum. This program allows students to study topics such as: theories of personality, social psychology, developmental psychology, abnormal psychology, industrial industrial-organizational learning and behavior, cognition, sensation and perception, human sexuality, health psychology and many others. Various involvement opportunities are available and students are encouraged to select one personal experience, at the very least, that will foster their engagement with psychology. This includes the following: internships, psychology clubs, Undergraduate Research Opportunities and becoming a teaching assistant. The University of Minnesota Duluth receives it’s regional accreditation from the Higher Learning Commission of the North Central Association of Colleges and Schools. On average, yearly tuition for in-state residents is $11,720. It rises to $19,027 for out-of-state students. 24. The University of Utah. The University of Utah is accredited by the Northwest Commission on Colleges and Universities. Its online Psychology degree is specially accredited by the American Psychological Association. Coursework for the program includes the study of psychology as a profession, cognition, emotions, intergroup relations, personality, infancy, human performance, sexuality, health and many other areas. The program is delivered by award-winning faculty members who are active researchers in various areas of psychology such as texting while driving and sexual attraction. receive hands-on field experience through a local organization. Tuition costs $8,240 yearly for residents and $26,410 for non-residents.